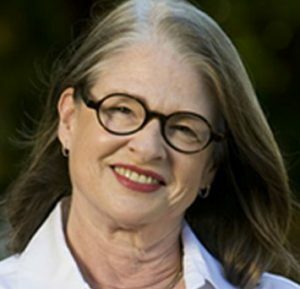 Laura L. Carstensen is Professor of Psychology at Stanford University where she is the Fairleigh S. Dickinson Jr. Professor in Public Policy and founding director of the Stanford Center onLongevity. She is best known for socioemotional selectivity theory, a life-span theory of motivation. For more than twenty years her research has been supported by the National Institute on Aging and she was honored with a MERIT award in 2005. Her most current empirical research focuses on ways in which motivational changes influence cognitive processing. Dr. Carstensen is a fellow in the Association for Psychological Science, the American Psychological Association and the Gerontological Society of America. She has chaired two studies for the National Academy of Sciences, resulting in noted reports The Aging Mind and When I’m 64. She is a member of the MacArthur Foundation’s Research Network on an Aging Society and serves on the National Advisory Council on Aging to NIA. Carstensen has won numerous awards, including the Kleemeier Award, The Kalish Award for Innovative Research and the Distinguished Mentorship Award from the Gerontological Society of America, as well as the Master Mentor Award from the American Psychological Association. She was selected as a Guggenheim Fellow in 2003. In 2011, she authored A Long Bright Future: Happiness, Health,and Financial Security in an Age of Increased Longevity. Carstensen received her B.S. from the University of Rochester and her Ph.D. in Clinical Psychology from West Virginia University. She holds an honorary doctorate from the Katholieke Universiteit Leuven, Belgium.